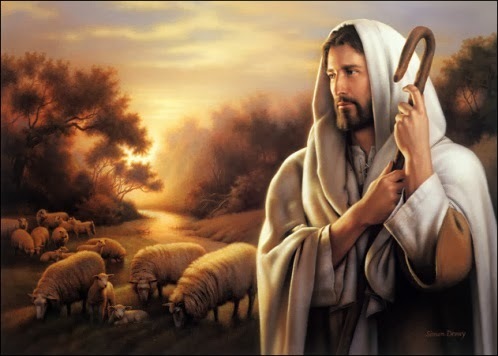 Today I watched a short video called "Jesus Declares the Parable of the Lost Sheep." It is taken from that parable in Luke 15:2-7 of the Bible. When reading the parable in the scriptures I understood it, but it was the video that put it into perspective for me. In the video, you see a shepherd watching over his enormous flock of sheep, only to realize that one is missing. He immediately turns and goes to find that missing sheep. You see him walk to all sorts of different places; he doesn't just look around where he is already and then give up. Then you see the shepherd find the sheep, and reach out for it with care and love. The first thing that stands out to me is that the shepherd realizes that his sheep is missing. It is so amazing to me that one missing sheep among one hundred would be missed. But just the same, that sheep's absence is noticed. And without hesitation, the shepherd turns to go find it. The second thing that really stands out to me is how far that shepherd is willing to travel to find his one missing sheep. He cares about it so much that he walks all over the place! He doesn't give up at the first hill he encounters, but he climbs that hill and keep going. He simply does not give up. Third, the way he reaches out to the sheep with such love is really remarkable. It shows how he really was worried and cares so much about that sheep. I personally would have probably been like, well it's just one sheep. I have 99 more. Does it really matter? But it matters. Jesus proceeds to compare each of us to that one lost sheep, a comparison that I'm sure we've all heard before. But the truth of it really rang true to me today. Christ is our Good Shepherd, always looking out for us. It doesn't matter how insignificant we think we are, He will always notice when we fall away. He will always reach out to us with love, inviting us to come back to Him. Because to Him, we are not insignificant. We are each so special and unique, and he loves us unconditionally. This is a picture that I keep on my nightstand. He is always watching out for me. He arm is constantly outstretched, we just have to turn to it. He is there through the Atonement. The Atonement is a gift. Just like any other gift, it was given to be used, not just looked at from a distance. Jesus is our older brother, and just like any other older brother or sister that we have, He loves us and wants to watch over us and protect us. Sometimes it may be easy to feel like once we've made a mistake, we can't turn to the Atonement. We might feel lost or ruined. How could we be worth to pray to God for forgiveness? But there is never a time when we need to turn to Him more than then. His love is constant and unshaken, no matter what we do. He sees us for us, not our mistakes. If we repent, He will always forgive. Remember that no matter where we go, what we do, how far we fall away, there is a Good Shepherd searching for us and continually inviting us to turn around. He is mindful of us always. And we can never go so far that we can not turn around.